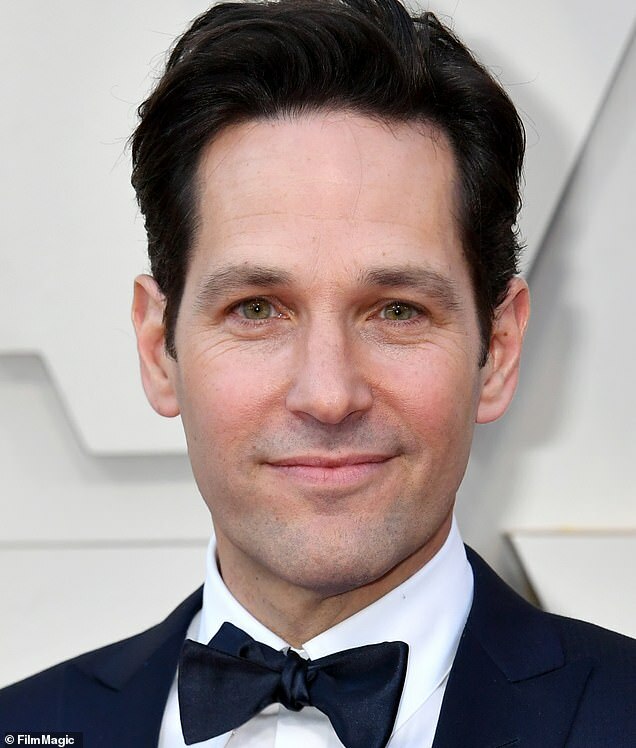 Paul Rudd has people begging him to start a skincare line after his ageless appearance at the Oscars on Sunday evening. 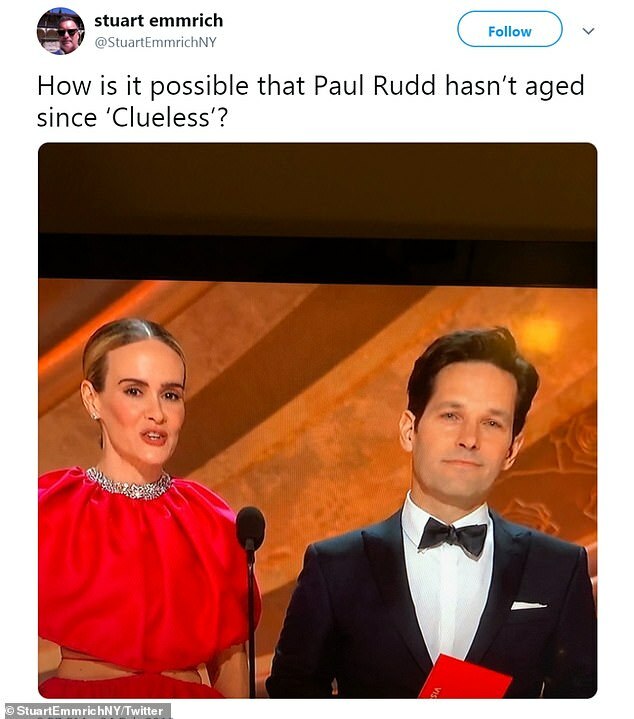 The 49-year-old actor, who turns 50 in April, joined Sarah Paulson on stage to present the Academy Award for Best Visual Effects, and some couldn’t resist pointing out that he looks the same as he did when he starred in Clueless in 1995. Fans took to Twitter to guess what his anti-aging secret is, with some joking that he must be a ‘vampire’ or has struck a ‘deal with the devil’ to remain eternally youthful. 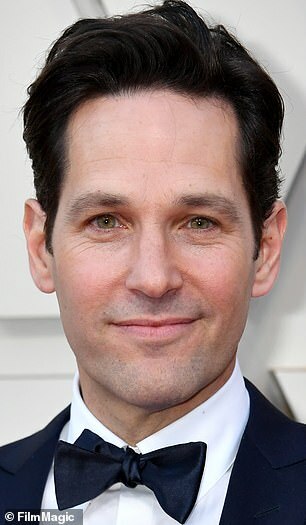 ‘What a great person to present the visual effects because Paul Rudd looks like he’s been digitally made to look like he’s never aged,’ one person tweeted. 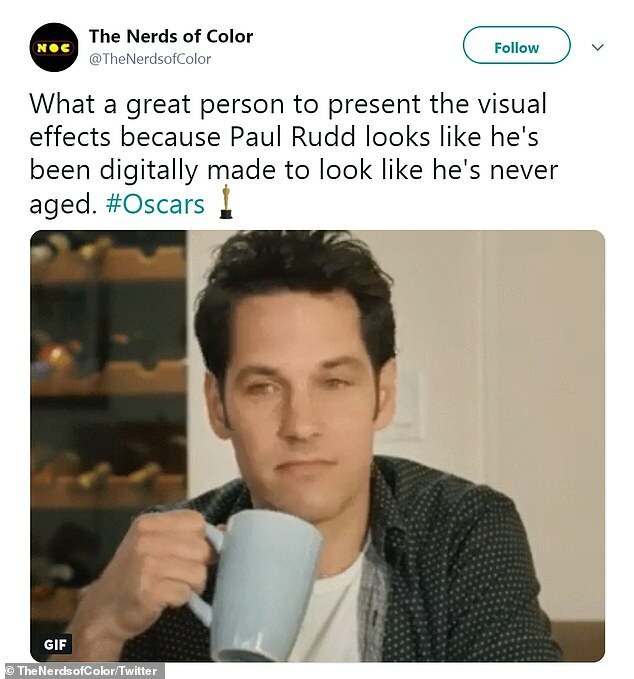 ‘Paul Rudd is presenting for visual effects, because the fact that he has not managed to age in 20+ years is the true visual magic that deserves to be honored. 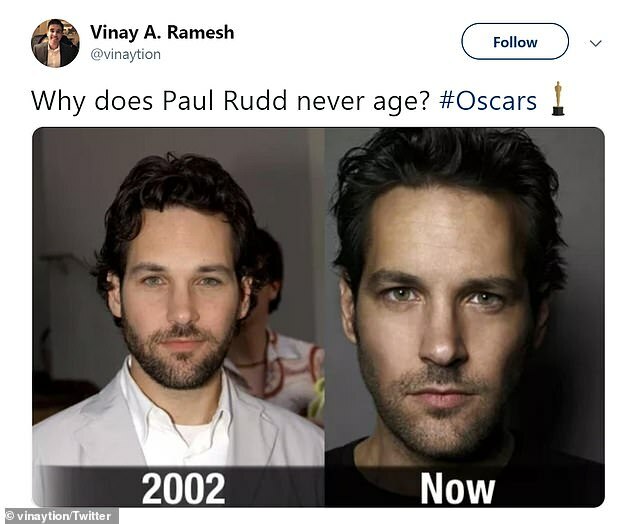 Some shared side-by-side photos of Rudd to show that he hasn’t aged in the past 20 years, while others pointed out that the actor is turning 50 years old in just six weeks and yet looks the same as he did in the ’90s. 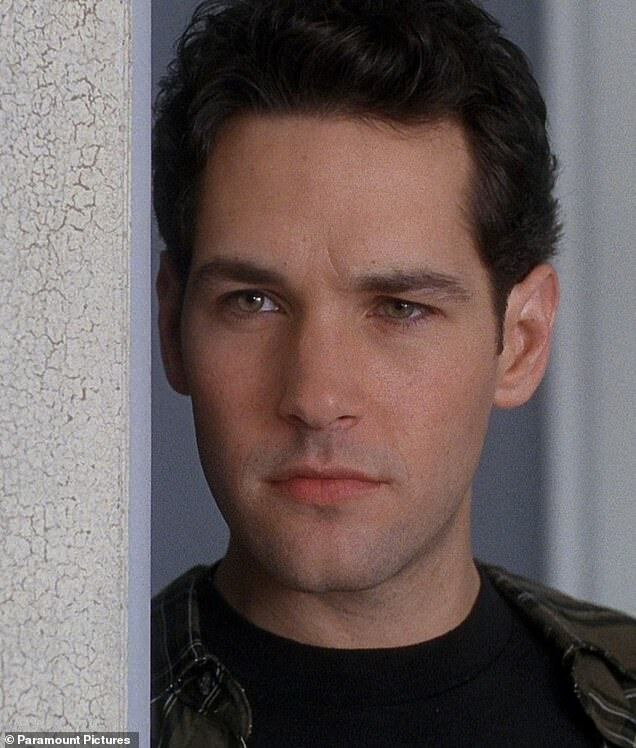 ‘How is it possible that Paul Rudd hasn’t aged since ‘Clueless’?’ one person asked. 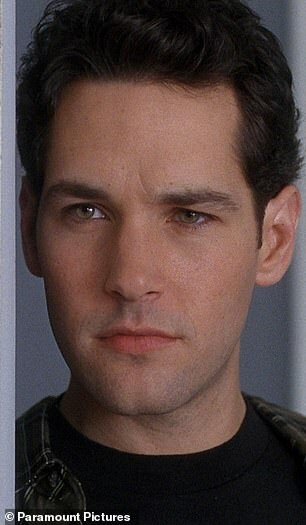 ‘Imagine how terrifying Clueless would have been if we knew that Josh/Paul Rudd would never age, Rakesh Satya wrote. His tweet prompted Olivia Giovetti to imagine Rudd’s character in Clueless as a modern-Dorian Gray. ‘There’s a portrait of him in the Horowitz Mansion that is aging. That’s the real deal he cut with Mel,’ she joked. Then were those who were desperate to find out Rudd’s secret to eternal youth. 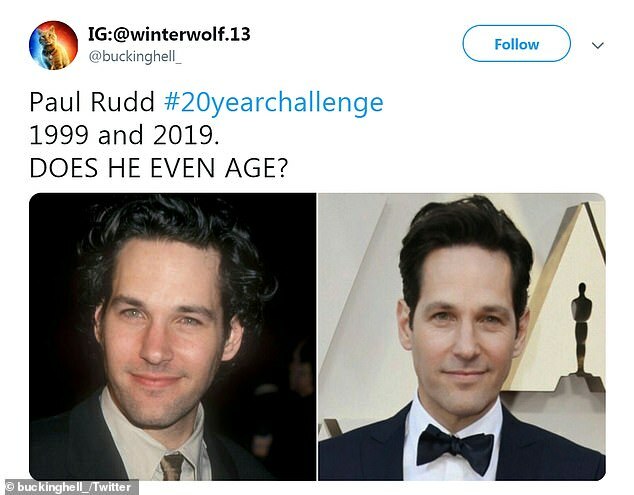 ‘What kind of water does Paul Rudd drink, that man never ages,’ one person asked. Some deduced that he was blessed with youthful good looks simply because he is a good guy. 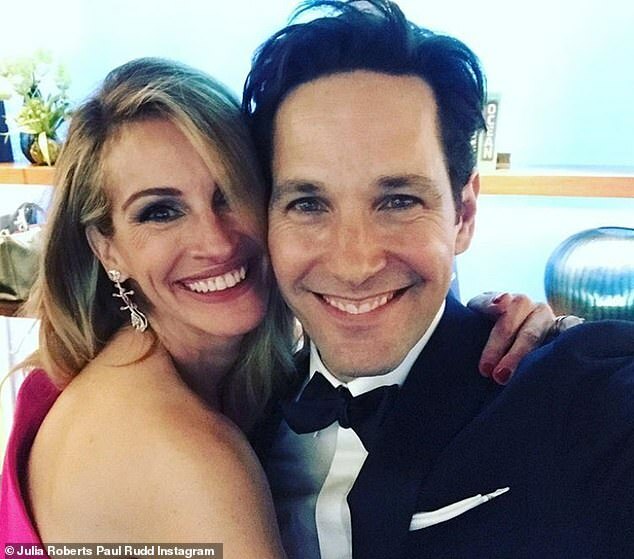 ‘Paul Rudd proves that unproblematic people do not age,’ one person tweeted. While many believe Rudd is simply Benjamin Button-ing, the Twitter account Rubber Bandits had a different take. 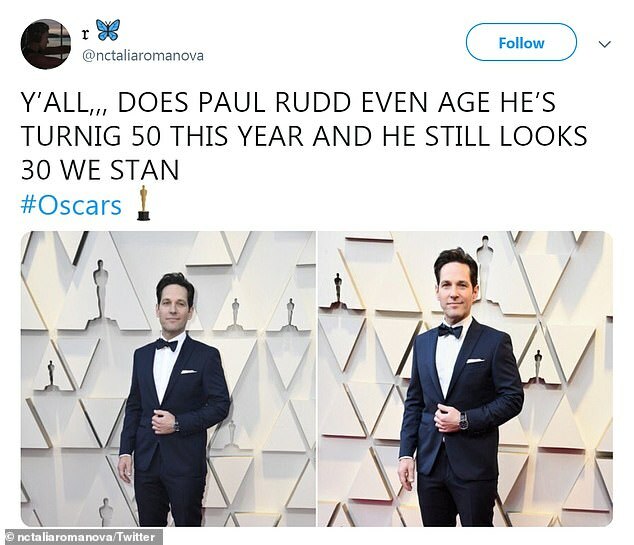 ‘Paul Rudd doesn’t age because he has one of those faces that looks 45 all the time,’ the person running the account tweeted. 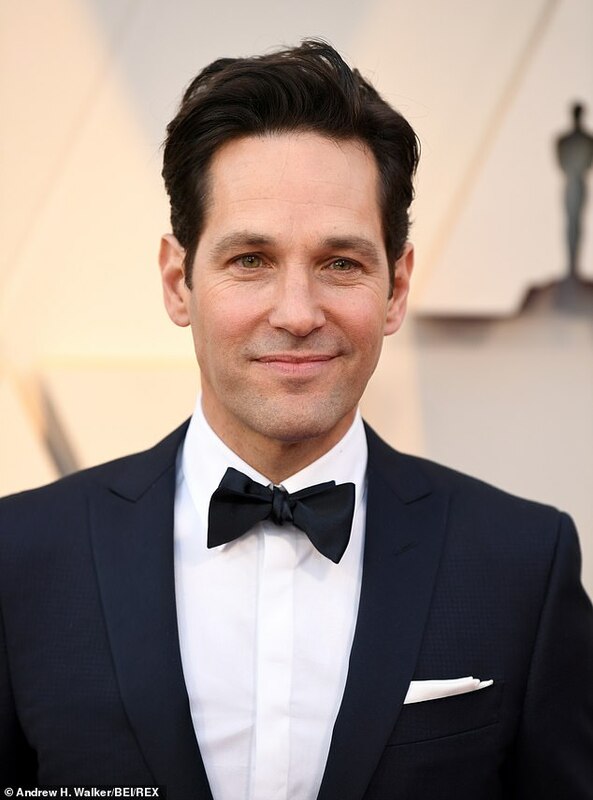 As for his physique, Rudd told Variety in 2015 that he ‘basically didn’t eat anything for a year’ to get ready to play Ant-Man. ‘I took the Chris Pratt approach to training for an action movie. Eliminate anything fun for a year and then you can play a hero,’ he said of his physical transformation.